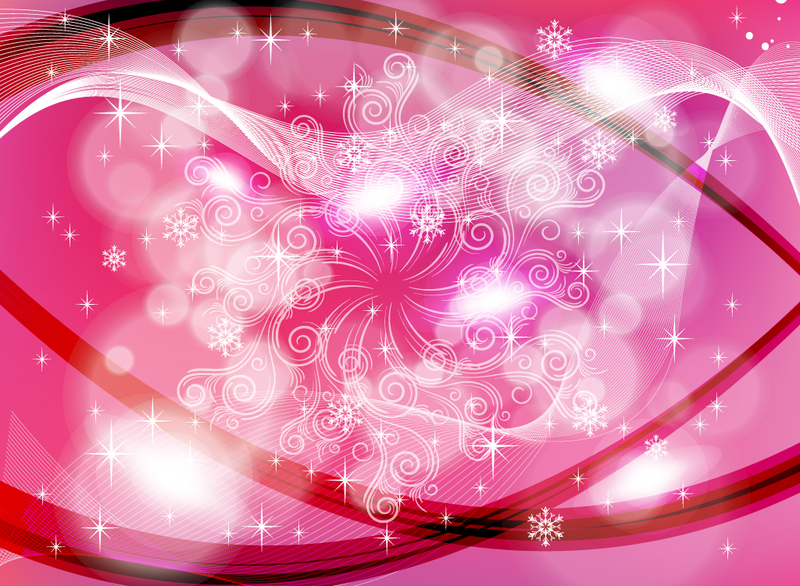 Winter themed background design with a pink gradient mesh, snow flakes, stars, ribbons of color and a spiral of swirl shapes as a center focus. Download this vector for free to create eye catching and colorful Christmas and holiday greeting cards, invitations and fliers. Tags: Curves, Glow, Gradient, Lighting, Pink, Radiant, Snow Flakes, Swirl.